Travel back to Paris at the dawn of the 20th century and experience the splendor of the sparkling French capital as it hosted the world for the International Exposition of 1900. 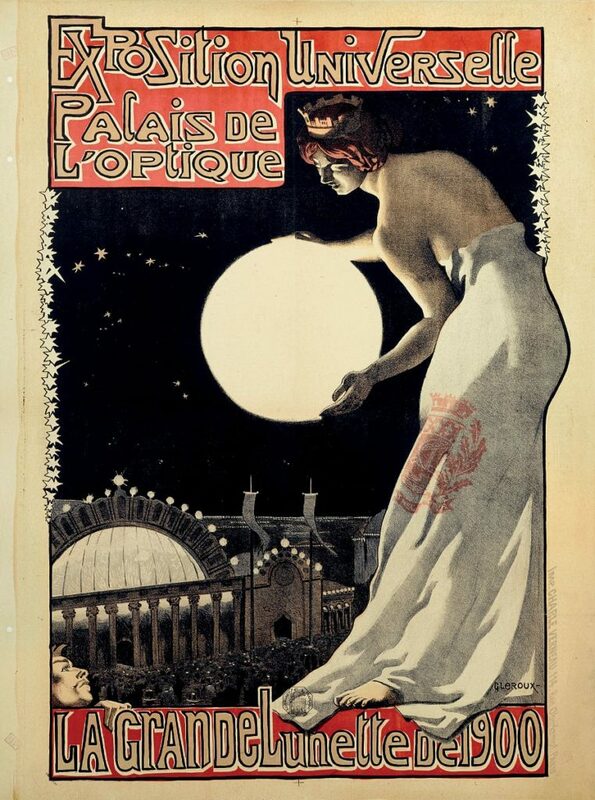 This was the height of the Belle Époque, a period of peace and prosperity in France when fine art, fashion, and entertainment flourished as never before. Fifty-one million visitors from around the world attended the Exposition and flooded the city, where they enjoyed its posh restaurants, opulent opera house, artistic cabarets, and well-tended parks. For the French, it was an opportunity to show off their prowess in the arts, sciences, and new technology, and to highlight what made Paris unique from rivals London and Berlin. Inspired by an exhibition originally presented in 2014 at the Petit Palais in Paris, Paris 1900 re-creates the look and feel of the era through more than 250 paintings, decorative art objects, textiles, posters, photographs, jewelry, sculpture, and film, and will plunge visitors into the atmosphere of the Belle Époque. These objects, drawn from several City of Paris museums—including the Petit Palais, the Musée Carnavalet, the Palais Galliera, the Musée Bourdelle, and the Maison de Victor Hugo—form a portrait of a vibrant and swiftly changing city. The splendor of Paris unfolds in six sections or vignettes. The visitor enters “Paris: The World’s Showcase,” which highlights the International Exposition of 1900 and the sweeping architectural and technological changes made to the cityscape to welcome the new century. As Paris was also the self-proclaimed “Capital of the Arts,” the second section of the exhibition examines the vast range of styles and talent present in the city in the form of sculpture, painting, and prints. Viewers will delight to work by well-known artists such as Camille Pissarro and Berthe Morisot and will discover compelling paintings and sculpture by lesser-known masters of the time. 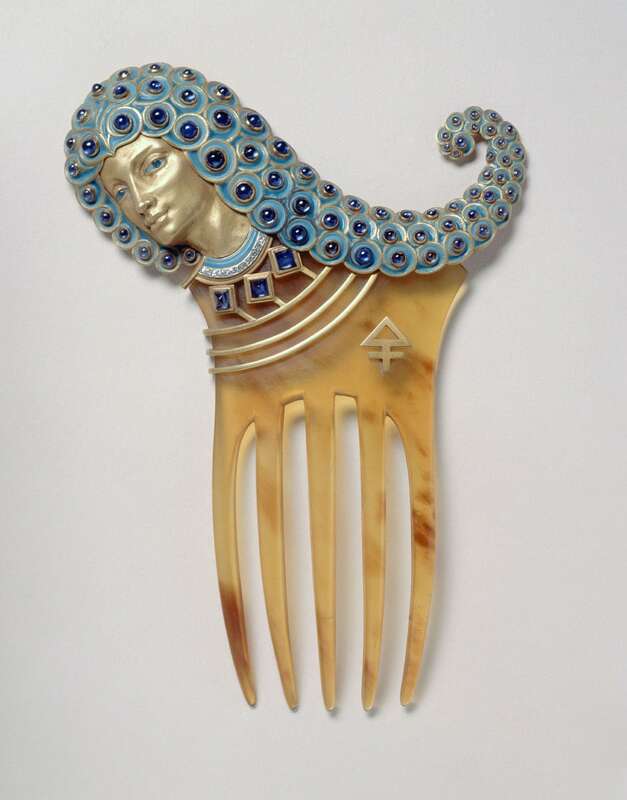 The seductive Art Nouveau style, so popular in the decorative arts, is the focus of the next vignette, which features furniture, jewelry, pottery, posters, ironwork, and fans that exhibit the whiplash curve and natural inspiration of this international style. French fashion and style were at the heart of Parisian pride, and the next section examines the cult and myth of la Parisienne—the ideal French woman—through textiles, paintings, prints, and decorative arts. Strolling through the city was considered one of the great Parisian pastimes and is explored in “A Walk in Paris.” New modes of transport, such as the omnibus and the newly invented bicycle, competed with horses, pedestrians, and automobiles as the 20th century unfolded. 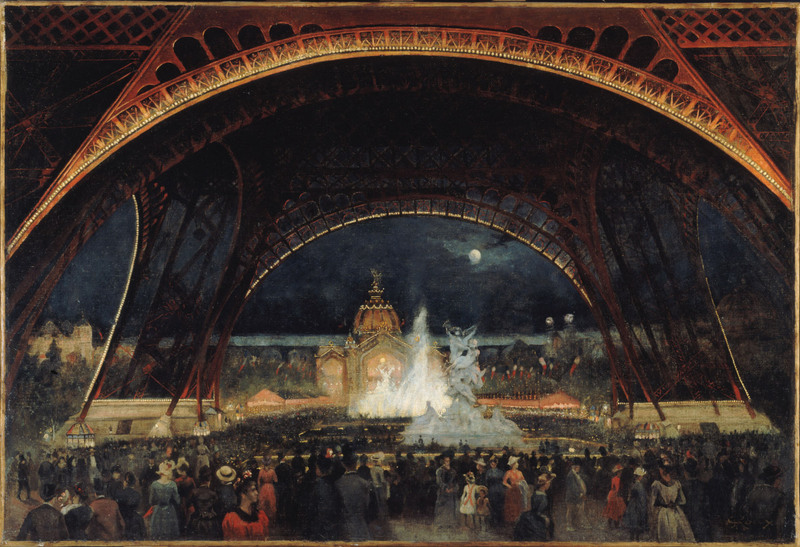 The final vignette, “Paris by Night,” features a selection of the vast amusements that made Paris the center of European entertainment, from lowly cabarets to the most refined theaters and restaurants. The exhibition concludes with a look at a great French invention of the Belle Époque: the moving picture. Clips from early film animate the exhibition and allow the viewer to rediscover the dawn of cinema. Programs will explore the cultural and historical context of the exhibition, in partnership with community and cultural organizations including Alliance Française and Chamber Music Northwest. Mary Weaver Chapin, Ph.D., Curator of Prints and Drawings, will present the opening lecture, “Paris 1900: Spectacle and Celebration.” Carol Ockman, Ph.D., Robert Sterling Clark Professor of Art at Williams College, will present a talk on Sarah Bernhardt, the reigning queen of the stage of the Belle Époque. Northwest Film Center screenings will illuminate Paris at the birth of cinema, and additional programming will explore the role of World’s Fairs in the crafting of national and racial identities, with a focus on Portland’s Lewis and Clark Centennial Exposition of 1905. Visitors can learn more about the exhibition in the companion publication Paris 1900: City of Entertainment by Cécilie Champy-Vinas, Curator of Sculpture, Petit Palais Museum of Fine Arts, Paris. Exhibition organized by the Petit Palais Museum of Fine Arts, with exceptional loans from the Musée Carnavalet – History of Paris and the Palais Galliera Museum of Fashion, Paris Musées. Curated in Portland by Mary Weaver Chapin, Ph.D., Curator of Prints and Drawings.